We are aware of how important the music is in our daily life as Plato mentioned. As we entered the era of smartphones, free downloading music for offline playback has been a more unique and pleasurable experience. Whereas Downloading free music for iPhone iPad Android for MP3 listening is not an easy matter since iOS and Android cared to protect their operating system from third-party interference. 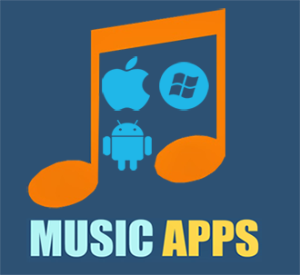 But when it comes to best apps to download free music, there are 11 music download apps for iOS Android Mac or Windows, as follows. MacX YouTube Downloader can be the best free music download app tool allowing you to download mp3/mp4 music from various music download sites like YouTube, Vevo, Audiomack, Pandora etc. It is mainly oriented to Mac and Window PC users, which is a great relay station as well to transfer the free downloaded music to iPhone iPod iPad or Android since this free music download app for Mac/PC is preset with 350+ Apple and Android profiles. Free MP3Box is a very stylish free music download app for iPhone with hundreds and thousands of audio tracks in your iPhone for free, which you can free stream or download music to iPhone iPad with one click. Only to type in the search bar the name of the artist or the song title. The song is found and you are free to listen to it and enjoy. Namely it's mostly a streaming music app based on YouTube search finding the required path on YouTube and streams it online. So, you can find any song and any artist and listen to it without downloading or third-party installations. You don't have to bother not only about your head, but also about your purse as this procedure is absolutely and completely free. 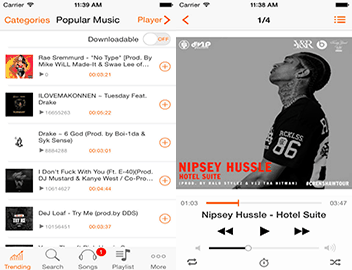 Music D/L is a free mp3 downloader app that can process free music downloads for iPhone iPad iPod and provides you countless different mp3 songs from SoundCloud and SoundHound. It searches music from SoundCloud for free downloading to a playlist which enables you shuffle playback offline or iTunes file sharing. Meanwhile, it offers a list of most popular compositions, dividing them into all and downloadable. But the free music app for iPhone iPad itself seems to be so littered with spam and adds, that sometimes finding the very songs seems to be impossible. The interface of the app leaves much to be desired as well. But if you are determined to get a song or several popular ones, go for this app. SoundTube is a pleasantly interfaced free music downloads for iPad iPod and iPhone. It groups all the available tracks by their genres like classic, rock, country and others. If you want to find a certain track, go to search unit. Then, you can prelisten to every song before loading or downloading. You can also add the song to the playlist, tune all the sound properties and observe the cover. It seems to be quite a suitable app for song obtaining, especially for its user-friendly look. Free Music Download actually looks like Music DL and iTunes. It has a similar interface and corresponding options. But it doesn't offer any charts to discover. So the only way is to type the song name. But don't forget to switch to "downloadable" tab. Here you can click on the arrow and get the song. As for drawbacks, we can mention some annoying ads and the limited number of songs. Freelegal is a great free music download app for those who want to stream music fast and then free download mp3 music to iPhone iPad and iPod. It provides you with more than 7 million different MP3 songs via your local library. By using it you can find a large variety of artists and music from all over the world. 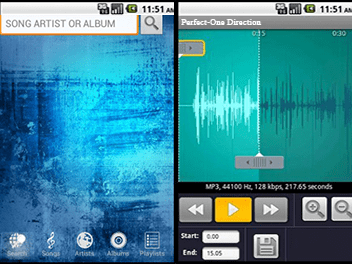 What the most salient features are the easy-to-use interface and a large number of songs to download which support it to be one of the best apps for iPhone iPad to download free music. But to be frankly, some users experience frequent crashes when downloading music. MacX YouTube Downloader - best-ever free music download app to free download music MP3 MP4 FLV, etc. from YouTube, Vimeo, Vevo, Facebook, SoundCloud, etc. 300+ music sites for playback on iPhone iPad iPod or Android phone or tablet. The very first app on our list of best free music download app for Android is 4shared Music and there is a reason why it is the number one music downloader app. The enormity of its library of free music can be guessed by the fact that at the time of writing this article it had 5,965,919 tracks available for download. 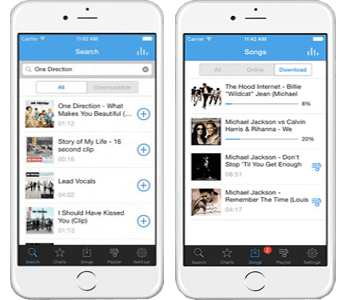 Unlike other apps, it allows the user to search the huge 4shared database of files and automatically filters the searches to display only MP3 files. It is definitely the best free mp3 downloader app. You never have to free download Google Play Music on Mac/PC first and then move to your Android phones. 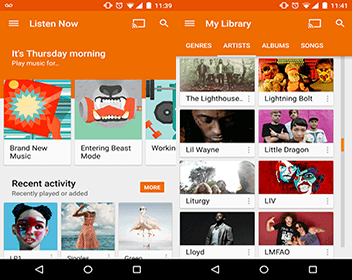 Now Google Play Music App is available on Android. Well, there are only a few fields where Google lags and music is certainly not one of those. Google Play Music is kind of Google's marketplace for music on Android. But the best part is that it regularly offers free songs and albums for the music lovers. It allows free mp3 downloads for android and also has the option to listening to it when you're not connected to the Internet. Definitely worth giving a try as the best free music download app. 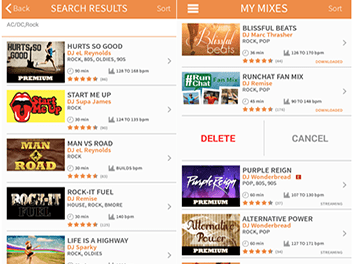 As the name mentioned, RockMyRun is more likely a free mp3 music downloader app for Android with numberous music resource, best suited for listening music during workouts. 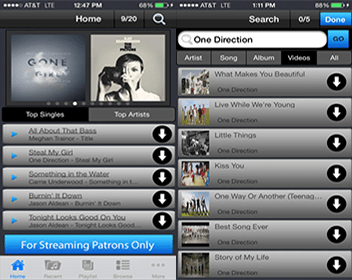 It allows downloading or caching of your favorite music on your device. You can use its custom built DJ mixes for your workout style. It delivers awesome DJ mixed playlists for the perfect workout soundtrack you can ever have. Surely one of the best free music download app for android, marvelous for those who likes listening music on the run. It has been a long time since the last time I found a best mp3 downloader app for Android that accomplishes a minimum standard of quality. For this reason, I was pleasantly surprised when I discovered Tunee Music. I haven't noticed any fake song, although there will probably be some since it's based on multi-search engine mp3 downloader and sound quality is acceptable in all the song I've downloaded. This is the case of Tunee Music Downloader, an app for Android that allows you to search for music based on the title of the song, the artist or the album. MP3 Music Downloader Paradise downloads the latest songs be it popular hits or underground mixes. It enables you to search the Internet for the music you need and downloads it without any problems. Though the downloading song takes longer, the best thing is you will find the song you are looking for. 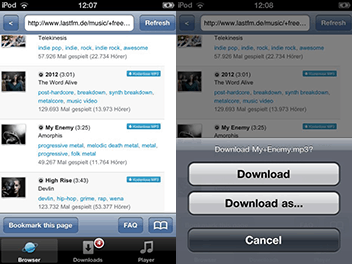 The app also comes with a free music player and a music download manager that supports multiple downloads simultaneously. To sum up, different strokes for different folks. 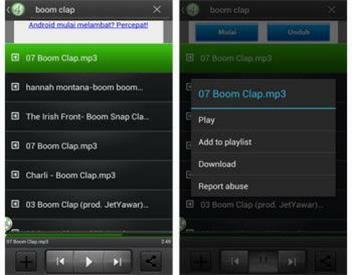 People choose the best suited one to download music to iPhone iPad or Android among all these free music download apps. If you have several devices of different operating system and are annoying of install different music download app for each device, you are suggested to select MacX YouTube Downloader, the integrated free music download app for both iOS and Android. The top 10 list of best ringtone apps for iPhone are gathered for you to download free ringtones for iPhone, make and add ringtones to iPhone in an easy and free way, with no bother of ads. This is a recommendation of free music downloader for iOS, showing you how to free download music on iOS regardless of music app not available problem on iOS 10/9. Best music torrent sites here will introduce 2016 top 10 music torrenting sites unblocked for uTorrent or BitTorrent to free download full album, music videos, mp3 songs torrents in high quality 128kbps & 320kbps. MacX YouTube Downloader is the best free music downloader which can easily download mp3 music, song videos with original quality and fast speed. This feature-rich video downloader also can help you download 8K/4K UHD full movie/videos/music free from other 300+ online sites.